My daughter, Hannah just turned seven years old and was so pretty in her birthday party debut wearing her new Bumbums & Baubles Lily Mary Jane shoes! Bumbums & Baubles combines classic, stylish Mary Jane style shoes while adding a unique modern twist allowing your little girl to add adorable baubles in a snap. 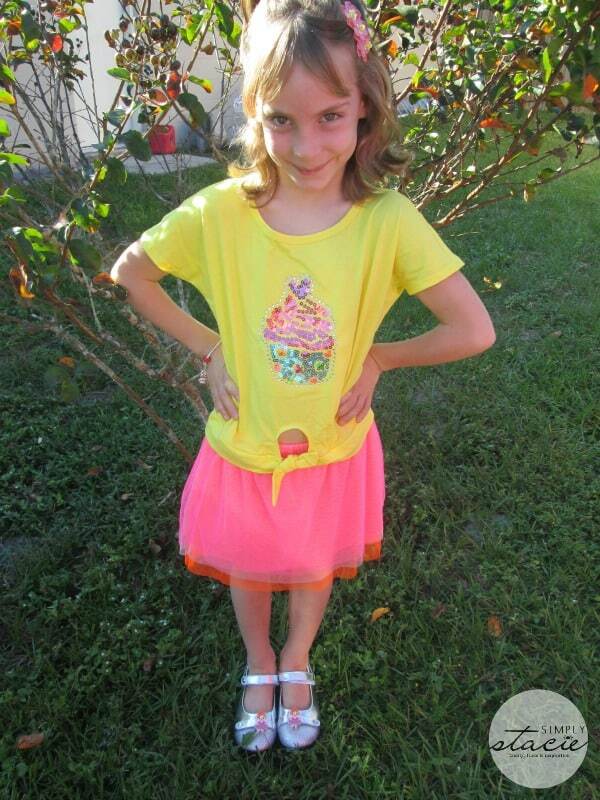 I love how this fun feature allows little girls to express their creativity without sacrificing style and comfort. The Lily Mary Jane shoes from Bumbums & Baubles comes in a wide variety of colors that would be perfect for special occasions yet functional enough for every day wear. I also like that these shoes are great for dressing up and because of the extra cushioning Hannah declared it to be “the prettiest and most comfortable shoes in the world!” It features a low “ballerina” style along with the classic rounded toe, flat heal and ankle strap. To make these shoes even more fun for little girls, the Lily Mary Jane is designed to allow for accessorizing with two places to add up to two baubles per shoe. 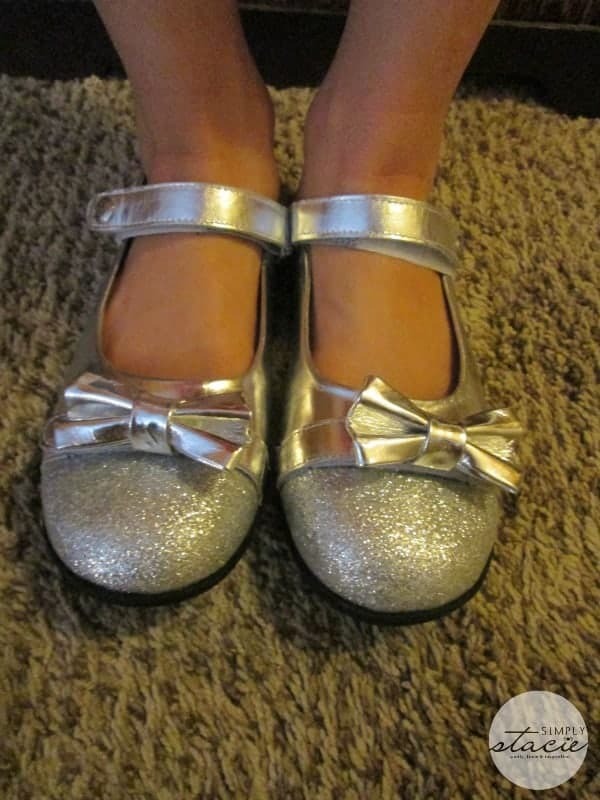 Hannah loves her Lily Mary Jane-Silver Sparkle shoes ($53.95) to which she added the Ballerina Bauble ($4.95) for extra flare. There are lots of fun baubles to choose from including flowers, fairies, bows, hearts, rainbows and more so little girls can use their imaginations to mix and match their favorite accessories. She thinks it is so much fun to change out the ballerina bauble with the bow baubles and looks forward to adding more to her collection soon. Every time she needs to dress up or attend a function she begs to wear her Lily Mary Jane shoes which she said are her “favorites”. 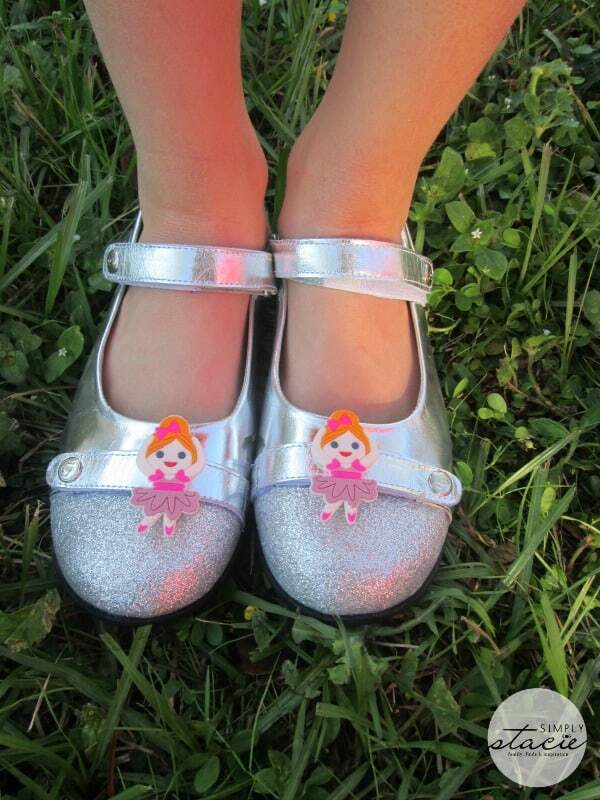 I appreciate that the little girls’ shoes from Bumbums & Baubles are very well made and don’t sacrifice comfort and durability for style…..girls can have the best of both worlds. There is even a fashionable collection of girls’ boots with baubles too. You are invited to visit Bumbums & Baubles to browse the entire collection of little girls’ shoes, boots and bauble accessories. Check out the Candy Apple (perfect for the holidays), Black Glam, Licorice, Apple, Pink Sparkle and Silver Sparkle……which one would your little girl love the most for this holiday season? Belle Boot Shadow for me. I like the turquoise bow bauble! I would love to win these shoes for my grand daughter thak you for the giveaway and the chance, she needs shoes, thanks again..
Belle Boot – Caramel is gorgeous. Oh my gosh! My daughter would die for a pair of those boots with the pink zebra heart and peace & love baubles! So pretty………. I like the Fairy Bauble. My favorite is the Fairy Bauble. I love the Flower Babushka Bauble! I like the Candy Apple Bow Bauble. These shoes are so gorgeous. My 7 year old niece would love them and me =). I like the pink glitter bow bauble! I love the apple tree one. loving the pink sparkle with the bow!